The holidays are rapidly approaching, so now is the time for e-retailers to fine tune their shopping sites and delivery plans for maximum ease, speed, and functionality. InternetRetailer.com offered some smart retail marketing strategies to help e-retailers survive and thrive throughout the harried holiday shopping season. IBM Coremetrics data revealed that last year, 18 percent of total online holiday sales were made from Black Friday through the following Monday, known as Cyber Monday. In fact, U.S. online sales topped $1 billion on Cyber Monday alone, according to comScore. In anticipation of this rush of activity, e-retailers must make sure that their websites can handle such heavy traffic and that their sites can provide a customer experience that is as simple, fast, and enjoyable as possible. If not, the competition is ready, willing, and able to meet those customer needs. In addition, the relatively recent popularity of mobile devices and tablets means that e-retailers must make sure their websites are optimized to work well on screens of all sizes. It’s more important to deliver functionality than style since customers only care about how quickly they can access a site on the device or browser they’re currently using. If a site takes too long to load, customers are likely to seek another shopping source. 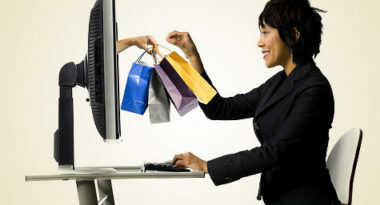 Now is also the time for e-retailers to fine tune their e-mail marketing strategies. Forrester Research data showed that 51 percent of consumers who shop online on Cyber Monday said they found out about special offers and sales through e-mails. Throughout the holidays, e-mail remains one of the strongest drivers of website traffic. But experts advise e-retailers to be careful about increasing the frequency of e-mails before the holiday shopping season since e-mail inbox providers often block sudden surges in retail marketing messages. Finally, e-retailers should carefully review their shipping policies. Consumers expect free shipping during the holidays and will often select a shopping site based on that perk. Since this is a sale-cinching factor during the holidays, e-marketers must work these extra costs into their retail marketing plans so they can provide the courtesy without affecting the bottom line. Experts expect the upcoming holiday shopping season to be very strong for e-retailers. By taking the time to optimize their shopping sites for a customer-friendly experience, e-retailers can sharply increase their sales and enjoy a very happy and healthy holiday season. MDG Advertising, a full-service Florida advertising agency with offices in Boca Raton and New York, NY, specializes in developing targeted Internet marketing solutions, exceptional creative executions and solid branding and media buying strategies that give clients a competitive advantage. Our core capabilities include print advertising, branding, logo design, creative, digital marketing, media planning and buying, TV and radio advertising, public relations, Web design and development, email marketing, blog development, retail marekting, social media marketing and SEO. View MDG Advertising’s creative marketing portfolio.